This is my husband Jody. Jody was diagnosed with Cystic Fibrosis when he was two months old. Born in 1972, the expectation for him (and others with this disease) was that he would not live long enough to graduate high school. While Jody spent his fair share of time sick and in the hospital (and continues to do so), he beat those odds, and he keeps on beating them! Living with a chronic disease is not easy, but almost anyone who knows Jody would tell you he maintains a positive attitude despite the cards that have been dealt him. He is an inspiration to many, myself included! 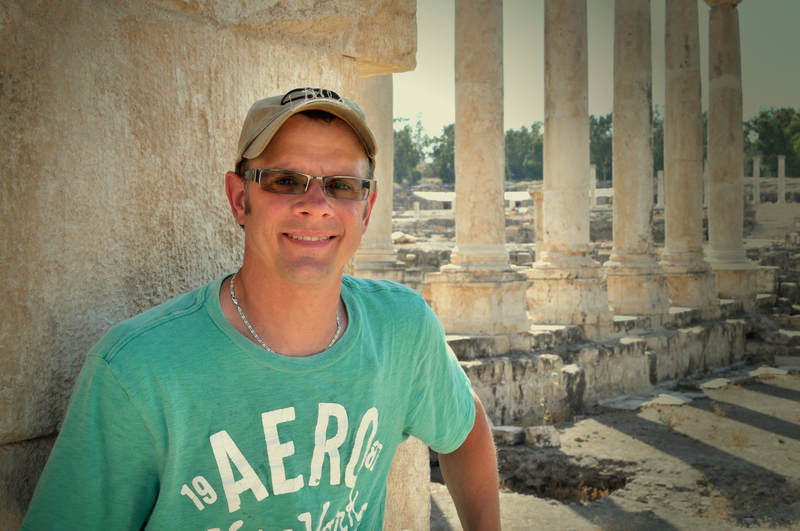 If you want to learn more about Jody, you can click here to read a fun Q & A post I did introducing him to the readers of this blog. After many years of fairly good health, in 2012 Jody began to experience more increasingly frequent lung infections. These infections caused irreversible damage to his lungs and took quite a toll on him. In the fall of 2013 he began requiring the use of oxygen to help him breathe. While Jody never let this stop him from enjoying life, it certainly impacted how much he could do, as every breath became a struggle. 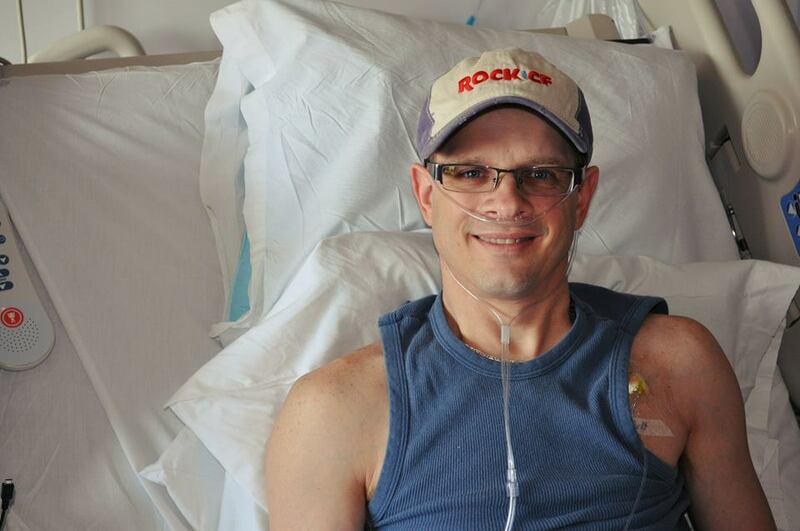 On March 25th, 2014 Jody was made active on the national lung transplant waiting list. After two dry runs and 174 days of waiting, Jody received a double lung transplant on September 15th, 2014. To read his transplant story, click here. His new lungs are awesome and we are forever indebted to his donor family. It has been amazing watching Jody get rid of his oxygen and get his life back! 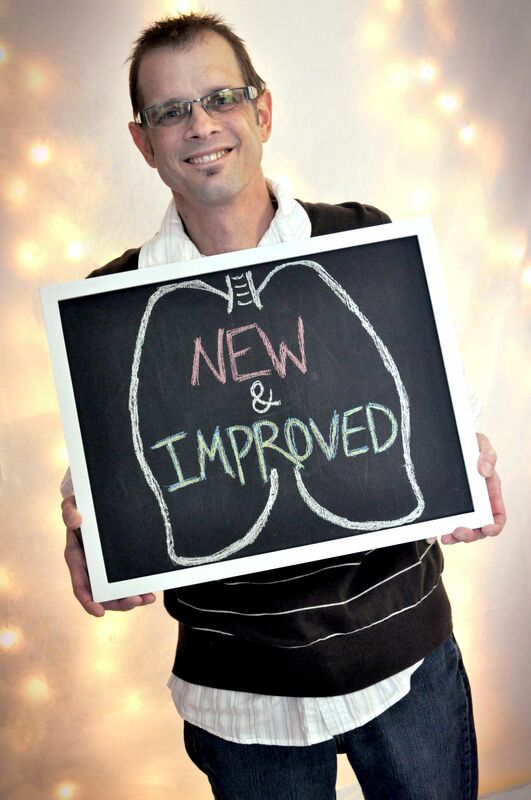 Subscribe to this blog to follow Jody’s journey with his new lungs. I”m sure my daughter-in-law has gotten a hold of you..not sure tho. My son is 36 and needs a double lung transplant. He was diagnosed at birth with Cystic Fibrosis. Operated on all at Boston’s Children’s Hospital. It was helpful to see your husband’s video. I’m a nervous wreck about my son. My son is Kevin O’Donnell, age 36, his wife is Laura O’Donnell, I’m his mom, Linda O’Donnell. God’s speed to your Jody. Praying for the same for my son, Kevin.